Despite having graced our desks with its presence for decades, the mouse does not always offer a very convenient way of interacting with your Mac. Sometimes, it’s more efficient to keep your hands on the keyboard, and that’s where Keymo 1.2 (Mac App Store link) comes into play. The app allows you to control your mouse cursor with a set of customizable key combinations. All the traditional mouse operations, like moving the cursor, clicking, and scrolling, are supported, and the app even allows you to quickly move your cursor to another display —a very convenient feature for those who regularly work with multiple monitors. Finally, Keymo can be used to highlight the mouse cursor with a convenient “halo”; if you regularly struggle to find your cursor against dark backgrounds, this feature alone may be worth the price of admission. 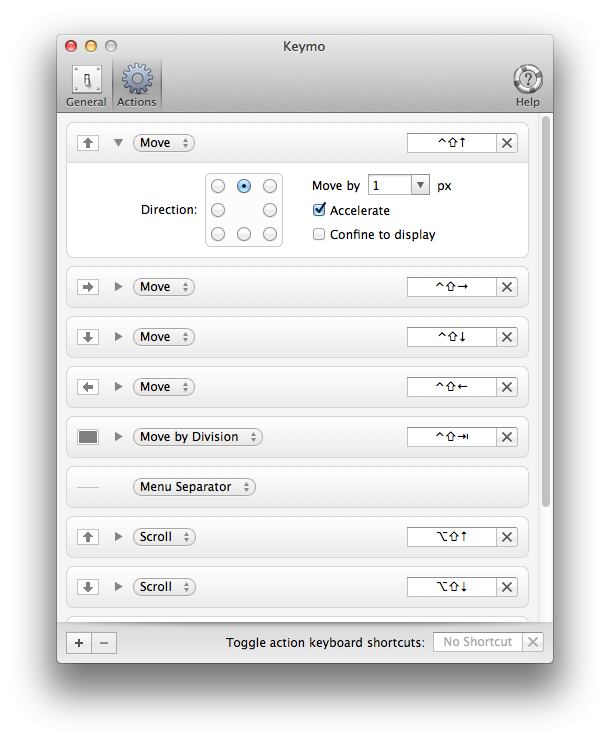 Control your mouse cursor with your keyboard.